has a new music video just released. The video opens a conversation about how we interact on social media today and how those daily focuses may be effecting our view of ourselves. The artist is pushing you to ask yourself about what position social media takes in your priorities. Are you addicted to social media? This is my single called 'Social Butterfly' which is inspired by social media. The lyrics focus on how connected we are now and yet so disconnected as people now with technology. I think as the subject was about social media it seems only fitting (in my opinion) that it should be electronic dance music as the genre that would represent these lyrics. As I wrote the lyrics I always envisioned this is electronic dance music. My music is influenced by all different genres with no musical direction off limits. This song is influenced by electronic dance music and my last song was influenced by funk. My next song could be pop or country song. For the last 10 years I have been working on my songs acoustically. However; the intention was to always flesh them into what they should be, which fully realized songs covering multiple genres. My latest single 'Social Butterfly' has an electronic music feel whereas my last song 'Locked or Free' was funk. Who knows? I might do country music next. Or try pop music. Prince, Amy Winehouse, Chris Cornell, Soundgarden, David Bowie, The Meters, Gil Scott Heron, John Coltrane. I am on this musical journey and hopefully people will be along for the ride. just wants to cash in on the latest fad so they can continue to make money. They don't care how the music is created but as long as it sounds like the music that is out there already making money for other people. So the question is: Are you you? Or are you what they say is you? You decide.. I am choosing to walk my own path. Along that path I might stop and meet interesting people that influenced the path ahead. Music to me is a great way to express who you are and where you are at in that moment. The vital piece is also the music video concept: How to tell a story in a few minutes that can be original. With my latest song 'Social Butterfly' I think the music compliments the music video and vice versa. 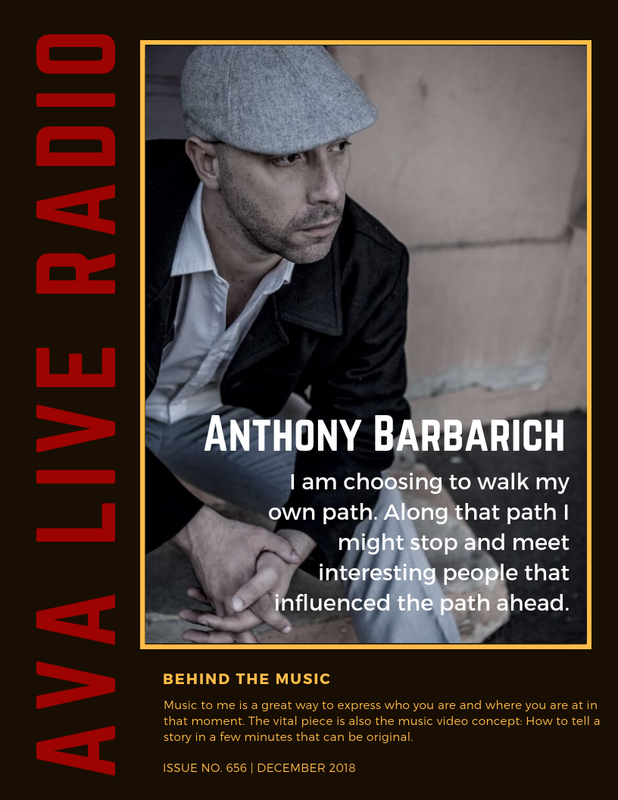 Anthony Barbarich comes on the show to speak to Jacqueline Jax about his new single ‘Social Butterfly’ and how to find that delicate balance between marketing yourself on social media and enjoying the moments of your life.